After cloning comes characterization. We just love it when a plan comes together! Lower peaks on the GC graphs made us very proud. 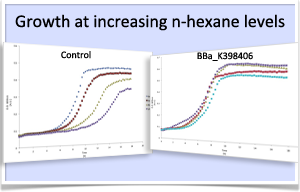 The biobricks reduce alkanes up to C30 to thin air. 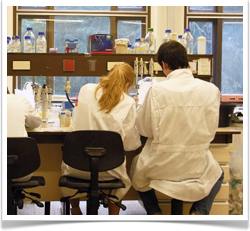 Enzyme assays confirm that it is not just evaporation that we are looking at. The tolerance bricks were characterized by measuring growth curves. Once transformed, the cells survived up to 1 molar of salt and 10% of n-hexane. Clearly, our cells started to enjoy these conditions. 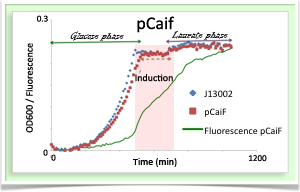 The sensing parts were connected to a GFP reporter. Our cells could detect the absence of glucose. 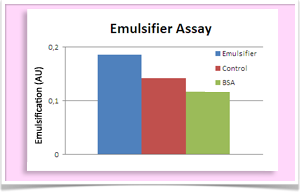 We created a new assay for the measurement of emulsification assays. 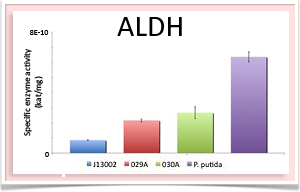 Thanks to the hydrophobic dye Sudan II we could determine the strength of the emulsifier.